The effect is really visual and incredible! • Your spectators will be truly baffled. 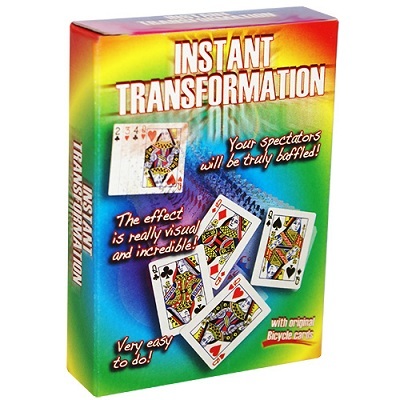 • Supplied are three poker size Bicycle cards and the special gimmick.